You’ve probably already collected one or two pieces of the Sekiro Dancing Dragon Mask, but where is the final piece and what does the Sekiro mask do when you assemble it? FromSoftware love a good mystery, but the Dancing Dragon Mask is a great deal easier to figure out than the Pendant item from Dark Souls. To complete the mask you’ll need the following pieces: Mask Fragment: Right, Mask Fragment: Left, and Mask Fragment: Dragon. The trouble is, as is often the case, the game tells you nothing about these fragments at all. There’s no clue as to where you’ll find them, why you would want them, or even what they end up creating, er, other than a mask of course. Fortunately, your friendly neighbourhood Sekiro addicts here at PCGN are on hand to give you a full breakdown on how to get each Sekiro mask fragment and what to do when you have the mask itself. Rather than being something you wear, the mask has a very practical use: you can use it to exchange skill points for attack power. This means you can use it to get hench before a tough boss fight, which is especially handy when you enter NG+. All you have to do when you’ve grabbed all three pieces is sit by an Idol and you’ll spot the option to convert skill points to damage output. Read on to find out how to get the three pieces of this magical mask. Pot Noble Harunaga sells this piece of the mask for the price of 7 Sekiro Treasure Carp scales. You can find him within the Hirata Estate in the river near the beginning of the area. 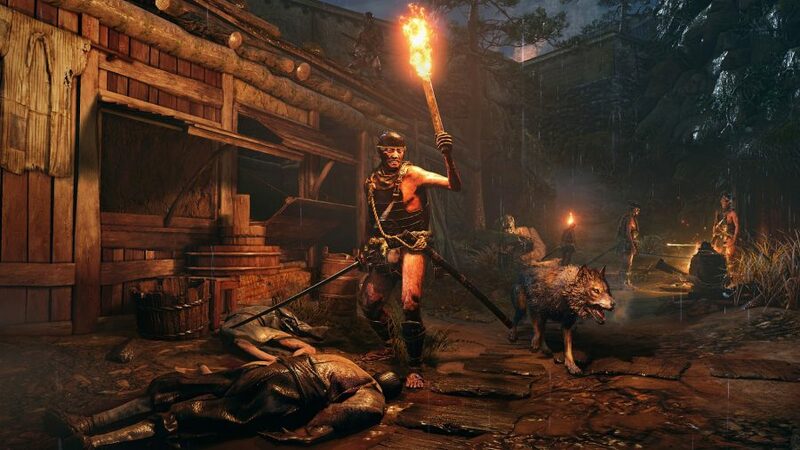 Start from the Dragonspring – Hirata Estate Idol, jump down the cliff with your grappling hook. When you see the river, swim to your left towards a small island. Pot Noble Harunaga stands out like a, well, a weird creature in a blue barrel, so you should have no issue spotting him. This mask fragment can be bought from the Memorial Mob at the Abandoned Dungeon Entrance Idol in Ashina Castle. It costs a rather hefty 5,000 gold, but you can actually grind gold fairly easily using a Mibu Balloon of Wealth and some trash mobs. If you are worried about losing gold while you journey around you can buy the pouches of gold from vendors as a way of saving it between the many, many deaths you’ll experience. One of the best places to farm gold is the Hirata Estate – Main Hall Idol. Just run through to the Hirata Audience Chamber Idol and cut down everyone with your katana for a pretty penny. 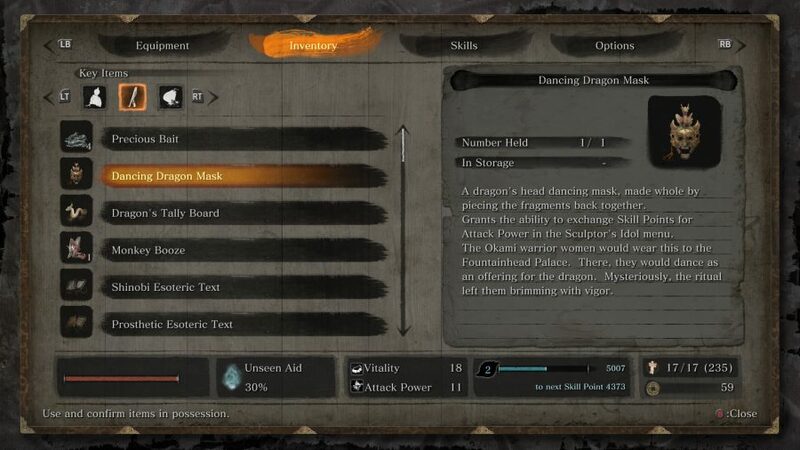 The last piece of the Sekiro Dancing Dragon Mask can be bought from Pot Noble Koremori in Fountainhead Palace. To get to this eccentric being you need to start from the Palace Grounds Idol. From here, go through the building in front of you and take the exit to the left. Then head right immediately and if you look up and to the left you should see a small cave. Jump off while facing this and you can grapple up. Follow this cave through and you will meet Koremori on the other side. You can then buy the final fragment for 12 Treasure Carp Scales. There is a bountiful supply of scales in the lake below if you are struggling to find more, so don’t be afraid to go diving.